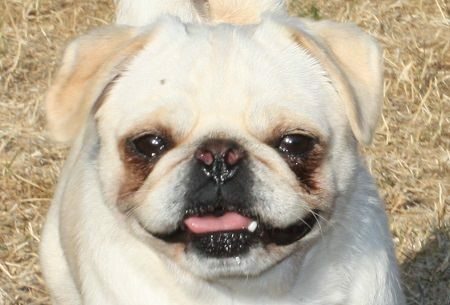 Dolly is a 3 year old female Pug. 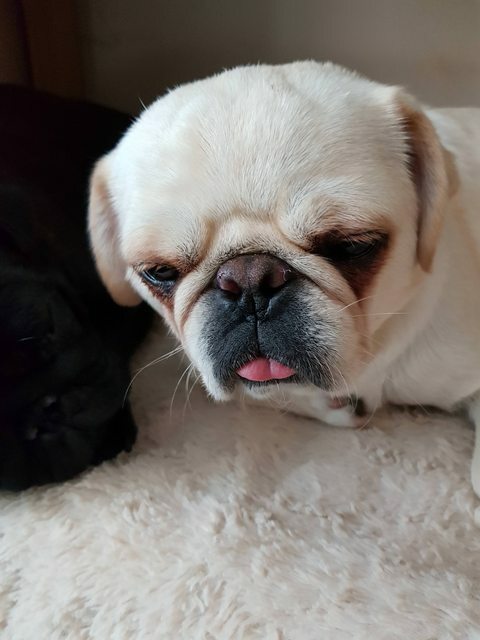 Poor Dolly has not had the best of lives, she has been used for breeding when in truth she is far from perfect health wise and should never have had any pups at all. We took one of her pups last year Little Po, who endured several surgeries to enable her to have some semblance of life. Po was lucky and has a wonderful home that continues to ensure her legs are looked after and that she is pain free and a happy girl. 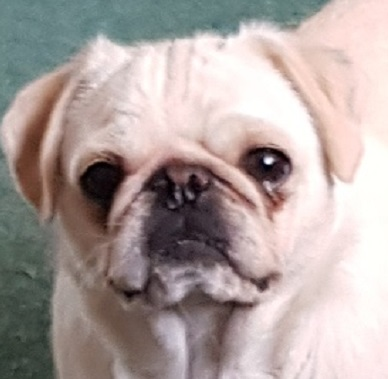 Dolly has seen the vets and will need both patella’s corrected and in addition to this she needs both femeral heads removed (the hip ball will be removed and scar tissue will make a false joint for her). 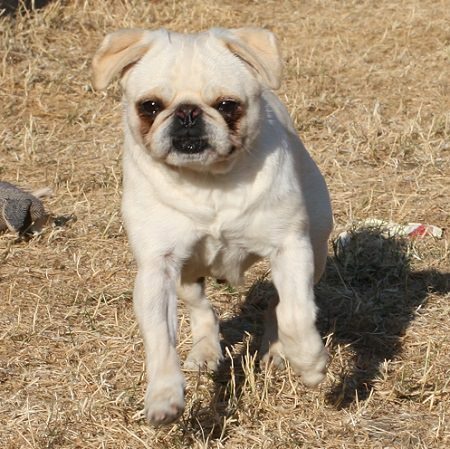 Dolly has churned out multiple litters who will no doubt have inherited all of her terrible congenital faults. Despite the fact that Dolly is in pain she is a beautiful natured little girl. She has been spayed and we have given her a rhinoplasty to help with her breathing. We have taken extensive x rays so we know exactly what she needs doing and we will plan the best way forwards for her. We have been monitoring Dolly and have had numerous chats with the vets as to the best way forward for Dolly. She has surprised us all with how well she copes and her tolerance to exercise and activity. We have evaluated full her situation and decided that we will be waiting to operate on Dolly. 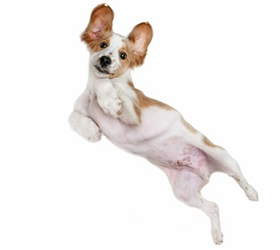 It is not due to cost as this would never be a factor in deciding what is best for any of our dogs. Currently Dolly has a good quality of life, she enjoys her walks, she plays with the other dogs and is happy to get on and off the furniture for comfort and cuddles. There is a risk that once we start to operate that she could potentially end up less able than she is now. This is not a risk we want to take currently as she is so happy and confident and does not appear to be in any pain. We will of course operate in the future should her position/condition alter. We will cover the costs of her surgery in the future if she needs it. With this in mind we would now like to find Dolly her forever home. 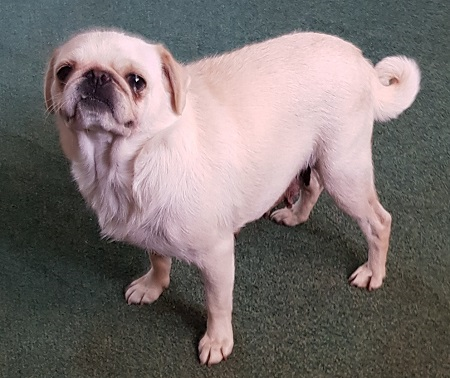 Dolly would like new owners who are around for most of the day, she loves a fuss and a cuddle, she would also like another dog, similar sized who is happy to share with her. 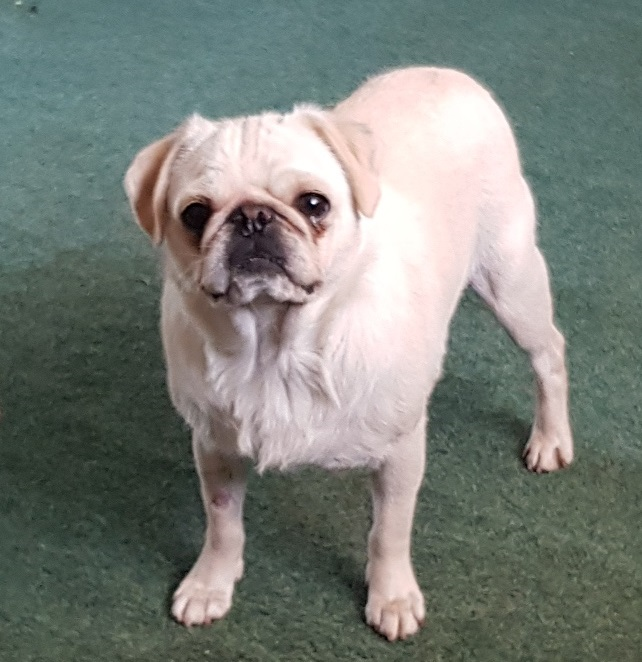 Dolly and Daisy have taken a particular liking to each other and would make a great pair if anyone is looking for two adorable Pugs! She is clean in the house, travels well in the car, enjoys her walks and takes little notice of the cat. Because of her legs we would like older children only please (10+). Dolly is fine to be left for short periods and is not destructive. Her weight will need to be monitored to ensure she stays slim and agile, we will support Dolly in the future should she require surgery, we will discuss this in full with potential adopters. Dolly has been neutered, vaccinated and micro chipped and Is up to date with flea and worming treatment. She has also had a Rhinoplasty and her teeth scaled and polished. Daisy is currently being fostered in Aldershot Hants.